A researcher says northern right whales get entangled in ropes they can’t see. ROCKPORT — Preventing endangered northern right whales from becoming entangled in lobster gear could be as simple as changing the color of rope, a whale researcher says. Not all colors evoked the same reaction. On average, the scientists discovered that right whales were most likely to respond to orange or red, and they were less likely to react to green and black, Kraus said. The researchers also tallied how many times the right whales bumped into the PVC pipes, and found that orange and red yielded fewer bumps, he said. Although the whales see their ocean world in black-and-white, it makes sense that they can differentiate orange from other colors since the clouds of zooplankton upon which they feed are orange in color, said Michael Moore, director of the marine mammal center at the Woods Hole Oceanographic Institution in Massachusetts. The research was long overdue, Moore said, because fishing gear entanglements are common. More than 80 percent of right whales show evidence of having been entangled in some type of fishing gear and the whales acquire a new entanglement scar once every three years on average, he said. “The problem of entanglement of large whales, right whales, in fixed fishing gear is huge. It doesn’t seem that way to an individual fisherman. From the whale’s perspective it’s a daily occurrence,” he said. It’s a big problem for North Atlantic right whales because there are so few of them. Experts estimate there are only about 450 of the whales, which grow up to 55 feet long and weigh up to 70 tons. 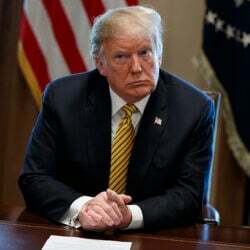 More research needs to be done, said Kraus, who intends to publish his preliminary findings sometime in the next six months. 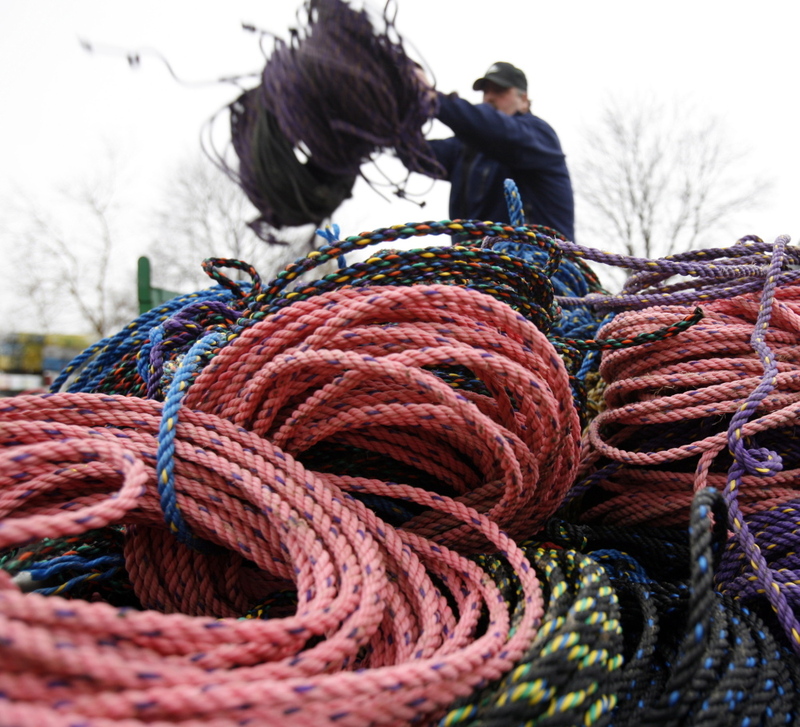 But based on those early results, he is working with Brooks Trap Mill and Hyliner Rope to manufacture experimental red ropes that are being tested by Maine lobstermen for durability and handling. Some lobstermen are skeptical the ropes will make a difference.